Determine whether a Sudoku is valid. where empty cells are filled with the character .. The following partially filed sudoku is valid. 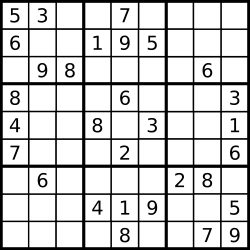 A valid Sudoku board (partially filled) is not necessarily solvable. Only the filled cells need to be validated.